Directions: From Boulder, head north on Hwy 36 and make a right (east) on Jay Rd. Turn left (north) on 51st Street and left (west) on Kelso Rd. At the end of Kelso Road there is a dirt road and a gate this is basically the trailhead and parking area. Papini Natural Area is an undeveloped piece of land owned by the City of Boulder. There have been plans to develop this area as an open space park but I don’t believe that has happened yet. The area is accessed via an old dirt road, there are no other trails that I am aware of. 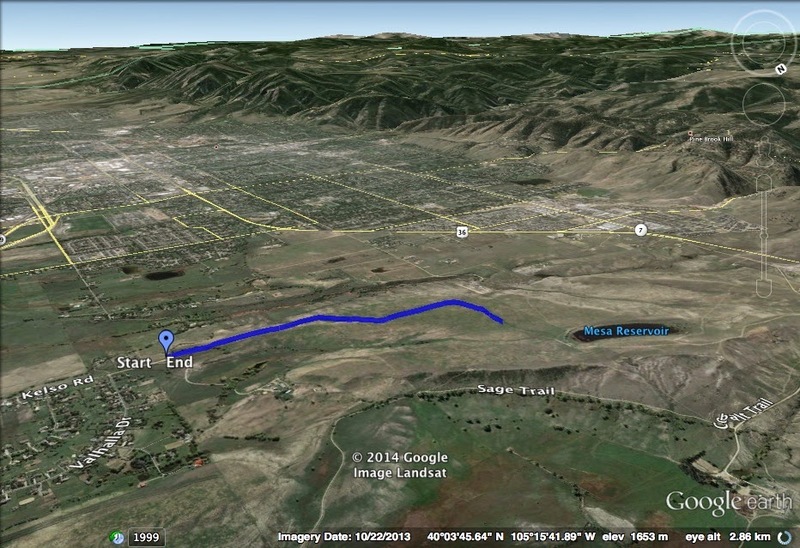 While I did not know it at the time, looking at maps has shown that continuing on this trail most likely connects to the trail system at Boulder Valley Ranch. The natural area is a rather non-descript trail but there is a stark beauty to the open prairie and there are wonderful views of the Foothills west of Boulder. About 1 mile from the trailhead is a stand of cottonwoods and this peaceful spot makes for a good turnaround point. I stumbled across this area while I was bored and exploring on a cold rainy/snowy day. Luckily, at the stand of Cottonwood Trees I happened upon a bald eagle perched up on a branch, he/she let me get pretty close and posed for some photos before flying away to another tree in the area. It was an incredible experience and served as a reminder of just how special those open, seemingly barren, lands are for the Front Range Communities.